Posts on Walking Tenerife are a bit thin on the ground over the summer months. There are a couple of reasons for this. 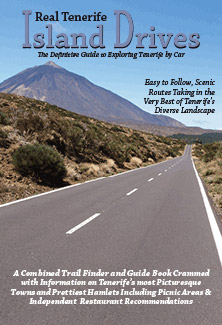 Tenerife doesn’t attract a lot of walkers in the summer, so subsequently we don’t publish as many articles. 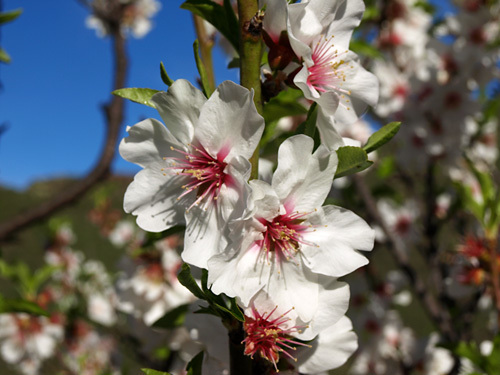 The second reason is that during the spring and summer we travel a lot to other green (or orange as it happens) pastures to experience walking in different locations, which we write about on our Buzz Trips website. 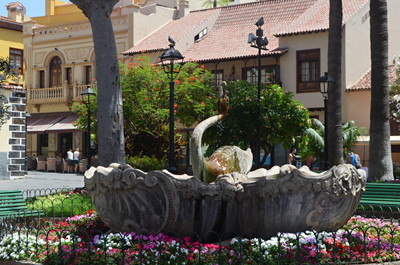 This year those trips have included two other Canary Islands. We’ve visited Fuerteventura before but not to walk across it. Like many people, we thought of it as the island to go to when you wanted spectacular beaches that go on forever – try walking across the Corralejo dunes and it feels as though they really do go on forever. Earlier in the year we spent 11 days exploring the orange island on foot, helping put together a new ‘Discovery’ package for specialist UK holiday company Inntravel. It was an eye opener for us. Fuerteventura holds many secrets away from the golden sands and it turned out to be a cracker of a walking destination; the rolling amber hills and shallow ravines (where many surprises were found – palm groves, streams, Egyptian vultures etc.) 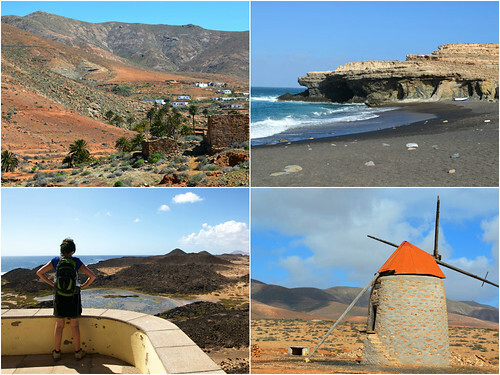 are far more accessible than the Western Canary Islands where the walking can be quite challenging. 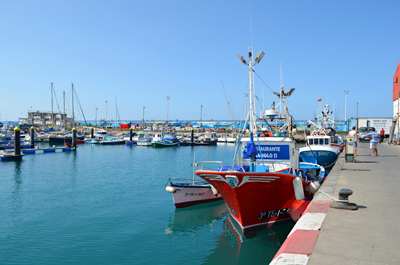 Anyone who is reasonably fit could enjoy many of the routes we walked on Fuerteventura. 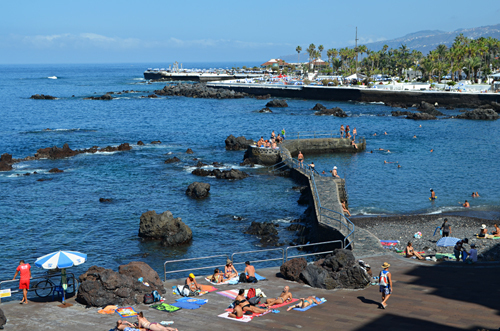 The second Canary Island we visited lies at the opposite end of the spectrum, both in terms of looks and difficulty of walking. 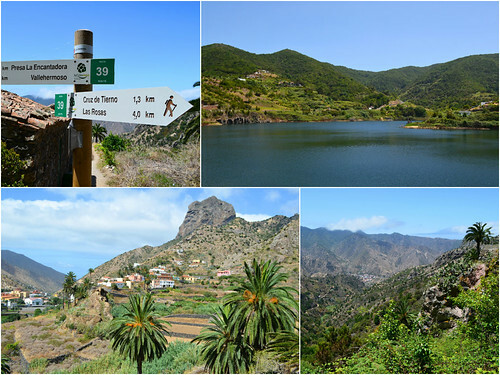 Where the weather was walker friendly when we visited Fuerteventura, it was less accommodating when we hopped across to La Gomera this month to check out some new walking routes. Hot August isn’t the most sensible time to go walking on an island where nearly every route involves steep ascents and descents. But work schedules left us with no other option. We struck lucky and had cloud cover during the two days we had to walk the most challenging trails, but even then fierce humidity made the going tough and the tee-shirts sodden. It’s the first time we’ve walked in bruma (low cloud) in the Canary Islands when the mist that wrapped itself around us didn’t chill to the bone. 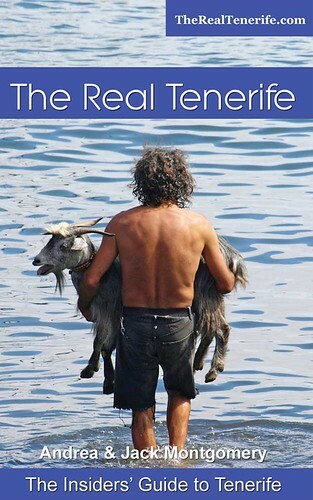 As always, the walking on La Gomera was in another league. The island makes you work hard for the greatest rewards – a near vertical climb out of Hermigua involved using hands and conveniently placed ropes and pitons on the steepest sections. 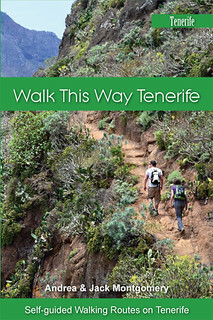 But it is exhilarating walking even if August temperatures made that particular ascent one of the most difficult we’ve experienced in the Canary Islands, and that includes El Teide. It was also a reminder that La Gomera is really an island for serious walkers and definitely not for anyone who suffers from vertigo. Its untamed interior is probably what makes it the best of all the islands for walking, even if it doesn’t have the most diversity. 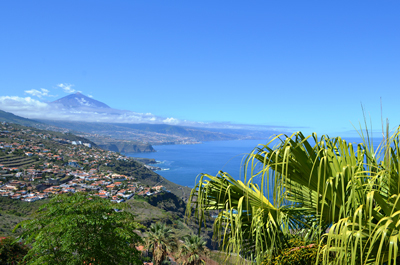 Now our focus returns to Tenerife, so expect more posts over the coming months as we get out and about exploring more wonderful landscapes and trails on our subtropical island home.